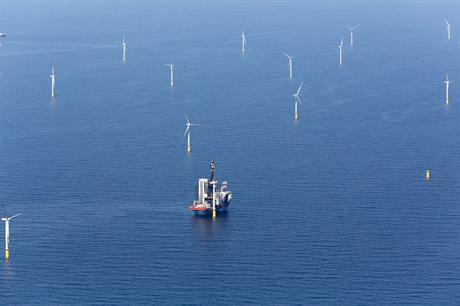 GERMANY: Activity in the German offshore market spiked in August, bringing the completion of turbine installations to 888MW over the summer, according to data from WPO Intelligence. The capacity of projects where turbine installation was completed over the summer was almost as high as the 916MW of turbines installed in German waters before the start of the month, almost doubling installed capacity. Areva announced last week that it has finished installing 80 of its 5MW turbines at the 400MW Global Tech 1 project. A further 288MW was added to Germany's offshore total when the installation on 80 Siemens 3.6MW turbines were completed at Vattenfall's DanTysk wind farm. By comparison, no UK projects hit the completion-of-turbine-installation milestone during August. There was also a flurry of activity related to the 288MW Sandbank project in the German North Sea, with developers Vattenfall and Statdtwerke Munchen making a final investment decision as well as handing out foundation and cabling contracts.